The holiday season is a unique and special time. 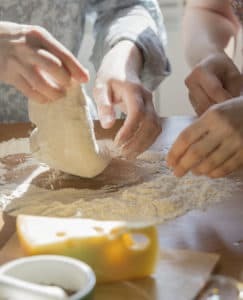 During the couple of months that the season lasts, many of us seem to abandon our hard-won, established habits and disciplined routines and take on a more laissez faire, unrestrained approach in everything from spending to eating. It is a season that is often marked by excess. 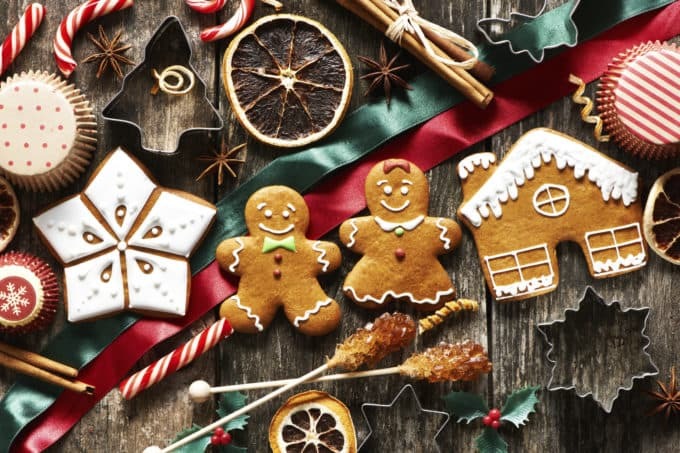 For those who deal with food addiction, the holidays often trigger issues that are already difficult to handle, and evoke feelings that are far from cheerful. During the holidays, food addicts face an onslaught of cues and temptations that increase their vulnerabilities for relapsing into compulsive eating behaviors, often while they are also being chided by unenlightened family members or friends for not being as sociable as they should be if they do not liberally participate in the traditional holiday feasting. It is a tough time to be a food addict. But what, exactly, is a food addiction and can one really be “addicted” to food? “Food addiction” is a term that is currently widely used to refer to certain eating-disordered symptoms. Binge eating disorder (overeating; eating compulsively or uncontrollably) is the condition most closely associated with the term. There is evidence that physiological changes in brain chemistry are associated with the increased intake of certain foods, especially foods referred to as “highly palatable” (i.e. : those high in sugar, fat or salt content). Foods of this type are capable of inducing behaviors that are akin to those seen in other addictions (craving, seeking behaviors, continued use even when negative consequences are present). Food “addicts” become dependent on the rewards of emotional comfort and physical pleasure (taste enjoyment) that “highly palatable” foods provide. Clinically, “food addiction” is not usually associated with anorexia, which involves a restriction of all food intake, including foods in the highly palatable category. Food addiction is also sometimes associated with bulimia, which involves binge eating followed by purging. Since avoidance of eating altogether is not an option, people who have addictive tendencies toward food must, instead, manage their eating habits and seek to avoid or limit the particular kinds of foods that are capable of inducing addictive tendencies – sweets, fatty and salty foods. Unfortunately, these are the very kinds of foods that are often served liberally during the holidays as “special occasion” foods. In addition, since food addiction, like other addictions, is influenced by emotional, psychological and cultural factors (mood, mental or emotional issues, peer pressure, etc.) the stress and unrealistic expectations that are often associated with the holiday season simply compound the problem for people with the disorder. 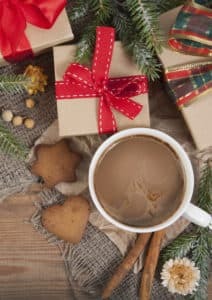 What then, can a person with an eating addiction do to get through the holidays with their eating goals intact and their emotional and mental state in balance? It may seem counterintuitive, but trying to give yourself some “wiggle room” during the holiday party season by losing weight just prior to the season may backfire. Restricting food intake can trigger a metabolic response where your brain, hard-wired to prevent starvation, sends signals to your body to make you hungrier so that you will eat more, and sometimes it can even cause you to gain weight, despite your calorie restrictions. Perhaps the most challenging part of creating and sticking to a sensible eating strategy during the holidays involves getting in the right state of mind. While self-discipline and making smart choices is certainly required, it is not helpful or healthy to attempt to (and expect yourself to) adhere to a strict regime of self-imposed rules about eating during the holidays. If you set hard and fast rules for what you “must” and “must not” do, you can easily fall into despair and emotional distress if you find yourself unable to stick to your unrealistic plan. Instead, think of the eating strategy suggestions in the following segment as “potentially optimizing” options that you can pick and choose from to create an overall strategy that will work for you as best as possible to keep you on track with your eating goals during the holidays. Know that, while you don’t plan on slipping, you are only human and, like everyone else when faced with overwhelming temptation, you may find yourself unable to be steadfast at all times. As with other forms of addiction, accepting the reality of a possible slip – and not letting it defeat you emotionally and derail your efforts entirely – is simply realistic and will serve you better than expecting yourself to have super-human discipline. You don’t have to eat like everyone else and you don’t have to apologize for it. If you are going to a party, it is acceptable to ask the host what kinds of foods will be served, so that you can know how to adjust your plans. You may want to eat your own meal ahead of time so that you can arrive satisfied and not be as tempted to overindulge. You can also let the party host know that you have special dietary needs and ask if it will be acceptable for you to bring some of your own selections (most will gladly say yes). Your biggest challenge is within your own mind. You have learned to label certain foods as “good” or “bad” and to view some as “treats” (and possibly giving them exaggerated value in your mind). Use the tactic of mindfulness to dispel myths and habituated responses and instead evaluate the “return on investment” of eating or overeating a certain food item. Then make an aware, informed decision to partake or not. Give full attention to the taste and enjoy your portion fully and you are likely to find that you can be satisfied with less. Food and parties are only one factor that make the holidays special. Create alternative “holiday cheer” activities for yourself and your friends, such as going caroling or taking part in outdoor winter activities. Take part in a volunteer activity or visit a nursing home…there are many ways to make the holidays special. Most of all, be kind and compassionate with yourself. Practice being your own mental “cheerleader” and congratulate yourself when you make decisions that are compatible with your goals. Understand that others may not fully recognize your special struggles, so give them a pass if they are pressuring you to eat and drink as they do. But stand fast in your own values. Simply smile and decline…no apology needed.